What Kind of Pet will YOU Hatch? Spring is here, and Aria's found a basketful of unhatched eggs. She thinks they may have rare pets inside them and needs your help to hatch them! Are you up for a quest today? Good question! Here's what you'll need to do to hatch a new pet! Buy 1 of the eggs from my Egg Shop. Begin 1 of the quests that match your egg type. If you bought a Golden Egg, go on 1 of the Golden Egg quests. If you bought a Platinum Egg, go on 1 of the Platinum quests. Turn it in and save the Flame rewards you get. Come back on Wednesday. My friend Cabdury will send you on a quest for a special Hammer. Merge your Egg, the Flames from my quests, and Cabdury's Hammer to hatch your pet! What Kind of Pets Can I Get? Each quest gives a unique merge item to hatch a different pet! Though the names for the different Golden and Platinum pets are similiar, the art for the different pets is not the same! You can buy both types of Eggs, but will need to do the quests for each egg's specific merge items. What About the Hammer I Need? The only thing I don't have that we need is a Hammer to cracked the hardened Egg Shell! My friend Cabdury will arrive in Battleon this Wednesday. Return then and he'll send you on a quest for a special egg-hammer. Then use the egg, flames, and hammer in the Pet Hatching Shop to get your new pet! Login Now for our Server-Wide XP Boost! Battle through Spring Break NOW to take down ALL the bosses while getting bonus XP! Login all weekend-long, because our server-wide XP Boosts is LIVE! Spring into battle with a 10% boost on our Member-only servers: Sir Ver and Evil Sir Ver! 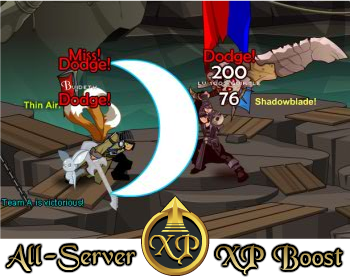 All other servers have a 5% XP Boost active! 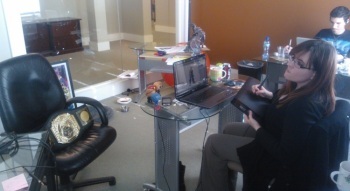 The Artists of Artix Sketchbook is Live! Now on sale exclusively at HeroMart! Our artists endlessly create fresh and original art for our video game's weekly releases. Open this book and take a look behind the scenes. 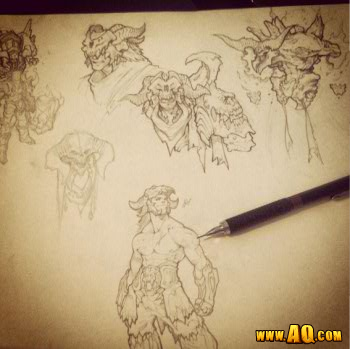 These pages are filled with inspired sketches (most never before seen) by popular artists who draw our games including Nulgath, J6, Diozz, Thyton, Samba, Mido, Nightwraith Charfade, Llussion and Dage the Evil. 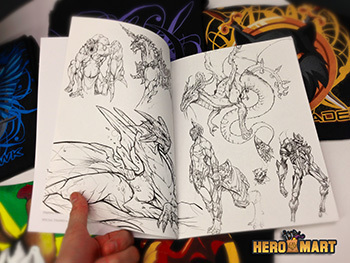 The book includes their personal story of how they become video game artists and what inspires them. 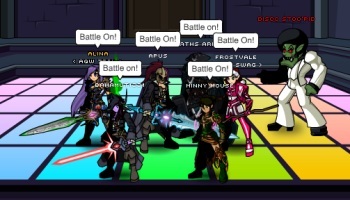 It's a HUGE Friday for AQW & AE! 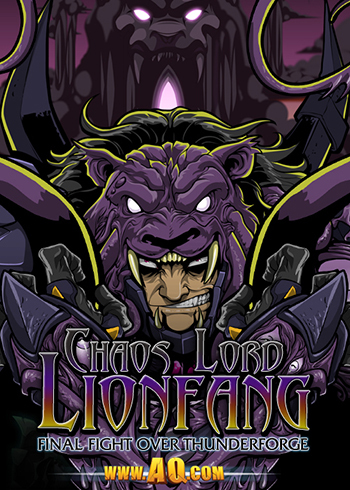 Today you get to face Chaos Lord Lionfang! He's got the Darkblood Weapon against Chaos and he plans to use it on Drakath. His plan? Take out Drakath to solidify his own Chaos Power then use that power to destroy all evil all over Lore. Unfortunately we know that the weapon won't work against Drakath AND that Chaos Lord Lionfang wasn't quite right in the head BEFORE he became chaorrupted. You have been entrusted with the sacred Darkblood relic and your only chance to stop is from being wasted on Drakath is to face Lionfang and take it back before it's too late. as well as a few other member and non-member items. You will also be able to find a week long Lionfang Rares Shop (will go rare Monday, April 8th) where you can find a number of rares that you won't ever see again once they are gone! 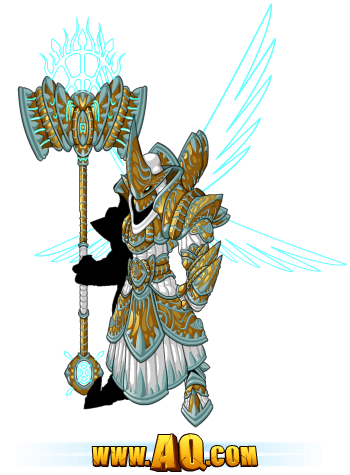 Amazing armors and powerful weapons from contributing artists Memet, Solrac, Aegis, Veneeria and more! Each new area we release usually comes with a class that you can unlock by reaching rank 10 in that area's reputation faction. Today we release the thunderforge Rep class... the Darkblood StormKing! You can get the class one of two ways. Reach rank 10 Thunderforge reputation and drop a lot of gold to unlick the class. 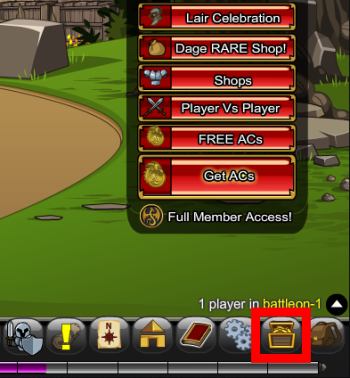 Open the Class Shop (Shops button in Game Menu, Ragnar in Battleon or Book of Lore) and pay 2000 AdventureCoins for the AC version if you don't feel like doing the repeatable rep quests in the Darkblood city of Falguard. To read my Skills Breakdown whic tells you everything yuou need to know about the class (like how to use it) CLICK HERE! The Seasonal Key shop in Twilly has changed! The lock has melted and the Ice Token will not longer give you access to the rares! Now you will need to purchase the Storm Token from Twilly to open this shop until for a limited time. Remember that once the storms of spring pass and the lock heats up these items will go rare and get replaced by the summer seasonal items! Sunday Aria begins her series of pet egg quests. 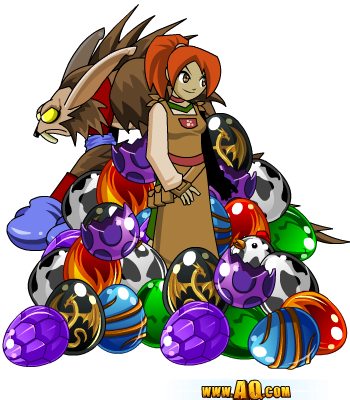 For a limited time Aria will sell you rare monster eggs (one Member & one Non-Member) and you will be able to do a number of repeatable quests to merge your egg and farming items into several different rare pets. This is a rare chance for non-members to farm for pets of their own and it won't last forever! Dage's Birthday & Lucky Day Leaving! It's been a great birthday month for Dage but next Wednesday, Dage's birthday rares (shop and SoulForge rares) will be leaving forever! Monday will also bring the Lucky Day Faire to a close until next year. How was your luck this year? It has been one of the most eagerly anticipated HeroMart items of all time but the wait is over. 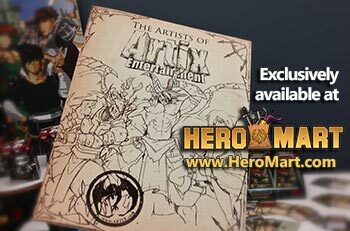 The Artists of Artix Sketchbook is LIVE on HEROMART! You can read more about that in the next Design Notes Post! The Thunderforge Rep Class Arrives Tomorrow! The Darkblood have always lived in Thunderforge. The evil race has thrived beneath the never-ending thunderstorms that cover the region. Centuries before the city of Falguard was built, the tribes of Darkblood regularly went to war over the resources in the region. They kept coming up with new and inventive ways to destroy each other until finally one of the Darkblood elders found a way to magically bind the power and fury of Thunderforge's storms and use their might as weapons. The Darkblood StormKing as born. It takes a rare type of person to become a StormKing (the term also applies to females, there are no StormQueens). You have to have an affinity for magic, a close connection to the natural world and the will to enslave nature itelf to obey your commands. 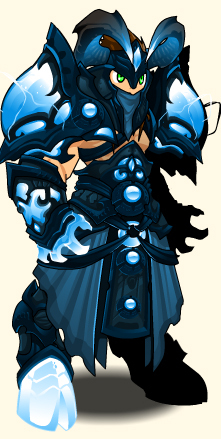 Tomorrow the Darkblood StormKing Class is being released. 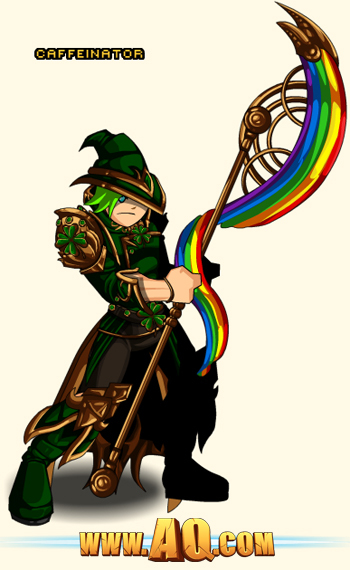 It will be in the Thunderforge Rep Shop in Falguard as well as in the Class Shop (Menu Shops Button, Ragnar NPC in Battleon or your Book of Lore). The reputation version, of course, requires rank 10 ThunderForge Rep and a healthy amount of gold and the AC version costs 2000 ACs. 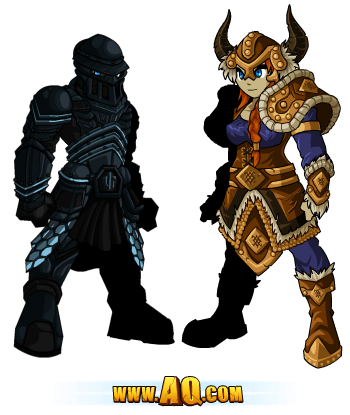 There are also a number of helms for males and females that match the set but these are only available in the Thunderforge Rep shop (Several Member Options, a few non-member and all require rank 10 rep). The class is a straight up caster so you will want the biggest and best Wizard Enh you can possibly grab. We've also done some tweaking with the way that this class works... since it's 100% caster we decided to make it's AUTO ATTACK damage dependant on Int too. In my case (level 50 with FULL Wiz Enh), this has resulted in DOUBLING my AA damage over most other classes. While that is fun and exciting it made balancing this class extra tough. The mana costs may APPEAR a little high but with Mage Regen Model (mana back on hitting an enemy with an inversley proportional relationship to your HP) and Thunderclap you should be able to balance your mana flow if you don't button mash. This is a thinking players class. You need to pay attention to play it well but once you master it you will be able to farm mobs, bosses or dominate in PvP. Remember. This class's AA Damage is tied to its INT so make sure that ALL of your gear is full of Wizard ENH and you won't be sorry. You bring the power of the storm to bear against your enemy. Using this skill on enemies with Shocked applied will heal you until Shocked fades. You will regain mana when you use this skill on enemies who have Thunderstruck applied to them. This already a decently strong attack without the special powers that come from Shocked or Thunderstruck. We'll cover those next. You channel the power of pure lightning through your hands and strike up to 3 enemies at once. Applies Shocked to all enemies hit. Shocked lasts for 10 seconds, will replace Thunderstruck and reduces affected enemies damage output. I know what you're thinking but the mana and cooldown are NOT typos, although until you unlock the next skill you might want to equip some mana potions, just in case. This is one half of your heal skill. After you cast this be sure to take note which enemies you hit or miss, and focus on the ones you hit. Once you hit an enemy they will have Shocked on them for 10 seconds. If you use Storm Call to hit a Shocked enemy you will get back a healthy amount of HP, and you can usually hit them 3 times before shocked fades. At level 50 with the right enh you will get back nearly 400 HP per hit, or 1200 in the 10 second duration. On top of all of that this is also a very decent attack with a slight enemy debuff, which is always fun. You devastate your enemies with mighty boom of thunder, hitting up to 3 enemies at once and has a chance to stun them. Applies Thunderstruck to all enemies hit. Thunderstruck lasts for 10 second and will replace Shocked. This is your other farming skill and it has a 50% chance of stunning anything that it hits (up to 3 monsters). It also applies Thunderstruck to anyone it hits. Again, you want to pay attention to who gets hit because when you use Storm Call on a Thunderstruck enemy, you get mana back on every hit (more than the mana you spend of Storm Call) until Thunderstruck fades. This is where being smart really comes in. You will really have to be present and ware of the battle to decide if you want to hit them with Skyfire or Thunderclap. Sometimes, you need HP, sometimes mana and sometimes. Sometimes you could really use a stun and sometimes you just need to deal decent damage to the mob you've pulled. Remember that a target can be Thunderstruck or Shocked, but never both at the same time. Choices, choices. More damage is always good but the increased crit is rally the gem here. Read on to understand why. Fires a Ball Lightning, The rarest form of naturally occurring lightning, at your enemy. This attack has an increased chance to crit and will do additional damage to any enemy who has either Shocked or Thunderstruck applied. Yup, it pretty much drains all of your mana, and the cooldown is only 12 seconds so, again, you will need to decide when to use this and not just try and spam your nuke. PLAY SMART. In addition to being a decently high damage attack this skill has a naturally higher chance to crit, on top of the 10% crit boost you get from Tempest. You stand a pretty good chance of critting which will produce some nice, juicy orange numbers. On top of THAT, you also get a damage boost from anything that is Shocked or Thunderstruck. It means that you will sacrifice at least one hit of Storm Call meaning you're giving up one shot of the secondary effect. Keep that in mind. Once in a great while, you tap into the pure fury of Thunderforge's perpetual storm and deal massive damage to your enemy. Randomly hit your target for HUGE numbers, as other skills in the past have done. It's not something you can count on but it IS a nice treat when it happens. I probably made StormKing sound a lot more complicated than it actually is, but you guys were asking for a class that could farm or go solo against bosses with a lot of interplay between the skills and we did our best ti give you that. Have fun with it. The DragonSlayer Birthday Event Continues! Don't let the day DragOn, because Galanoth's Birthday Treasures shop in the /lair map has NEW gear! The Polished Dragon Blade is now in his shop, selling for 1,000 Adventure Coins. Next week, we'll add Evolved and Legion versions of the Dragon Blade and... ALL versions of the Dragon Blade will become more powerful when wielded against Dragons! Don't forget to check out the rest of the gear in the DragonSlayer merge shop, either! Available for all players; use Dragon Talons in the Merge Shop to create the set! NEW versions of the Classic DragonBlade! Upgrade to unlock this Member-only set in the Merge Shop! This gear will return each year on Galanoth's birthday! You guys have started calling 2013 the Year of Evolution in AQWorlds, and we've taken that to heart! Jemini and Memet have been working to bring our NPC art up to 2013's standards. The Princesses' gear levels up! Shading is improved and the rest of their appearances are getting buffed (both in terms of shine and quality)! New Pricess Victoria and New Yulgar! Aria's Spring Pet Egg Hunt Begins Sunday! To kick-off Grenwog next week, we're starting the pre-event this Sunday! Talk to Aria to buy a member-only Golden Egg for 10,000 gold OR a Platinum Egg for 175 Adventure Coins! 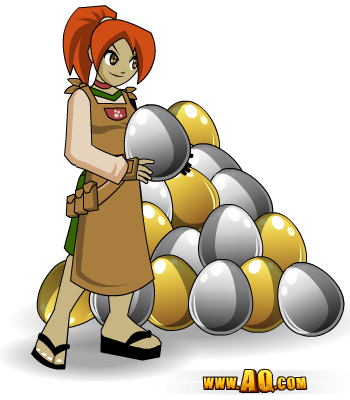 Then quest to gather the merge items you'll need to make the egg hatch into a pet! The merge items you use will determine WHAT pet you get! The final merge item you'll need to hatch your pets will release on Wednesday, but you can begin farming for all the rest starting Sunday! An Evil Undead Limited Time Shop launches next Monday! ("Evil Dead" is one of Artix's favorite movies!) AND we've convinced J6 to make some camoflaged versions of his J6 items in honor of the G.I. Joe movie. You'll be battlin' so fly like a GI J6! The King Fisher character page badge had to be removed because it was breaking on the character page. New accounts had the badge as soon as they made their accounts, and with how the badge is set up, there was no pretty way to fix it. It will return in the Book of Lore soon! Lucky Day event AND Dage's Birthday Shop leave on Monday, April 1st! The server-wide Rep Boost has ended and NOW we are finishing off the month of Spring Break Battle Boosts with a server-wide XP boost! 5% more XP on all servers! Member servers get 10% more! You can now sell 0 AC items, so if you want to clear out some of those items you've been keeping, now's the time! Got Questions About the New Payment Window? We've had a lot of people asking what we mean by in-game payment screen, and where to find it, so I've got a breakdown of ALL the details for you! What is the in-game payment window? Recently we introduced a more visible way for you to upgrade your account, purchase Adventure Coins, and find all our special packages (instead of the pop-up offers upon login). The in-game payment window let's you do all of that without having to leave the game, because you're already logged in! Depending on whether you have an active Membership or not, you'll see either a Get Membership orGet ACs button at the bottom of the Game Menu. Current Members will see the Get ACs button, and can see they have full member access to AQWorlds! 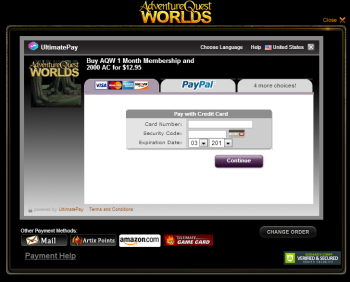 Then just click the Member/ACs button to open the in-game payment screen. What's inside the payment window? This is the front page. 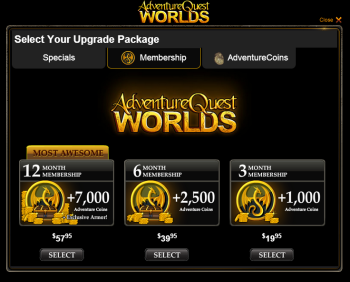 You'll see tabs to buy Memberships and AdventureCoins, or to view Special Offers. If you are eligible for a targeted offer, you'll see that tab, too. If you are a Member, the screen will start with the AC tab open, showing the details of our AdventureCoin packages. Non-members will start with the Membership tab open. This is the Membership tab. You'll see prices and details for the 12 month, 6 month, and 3 month upgrade packages. 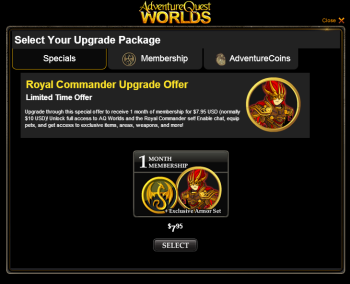 This is the Special Offers tab, currently featuring the Royal Commander 1 Month Membership package. Click the button here to unlock the Royal Commander set when you purchase a 1 month package. This tab will also show any targeted offers that currently available for you! This is the Bonus Offer screen! 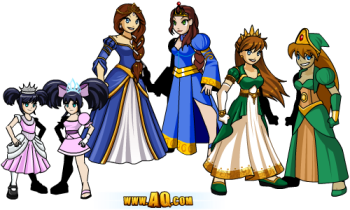 After you click Check Out on any of the other packages, you can add-on 5,000 extra AdventureCoins for $4.95 instead of buying them for $20.00 or, if you're taking advantage of the Royal Commander offer, 2,000 extra Adventure Coins for $4,95! This is the secure screen (https://) where you enter in your payment information. Because you used the in-game payment window, you do not need to re-enter your account information. It also links to other payment methods if you do not want to use a credit/debit card or Paypal. The most useful dragon in-game! Enhance your gear from anywhere in-game now! PvP: Many of our experienced heroes love to battle monsters... and each other! Click the PvP button to queue up for a player vs player match! Click me, I'm a treasure chest! We are aware of the game menu bug where it does not close when you switch to another map. We'll be fixing that AND adding the PvP shop to the Player vs Player tab later this week! * Soon this button will open an Adventure Map, showing you your progress through the current main zone, and taking you RIGHT to where you need to be! Summon Storms to Destroy Your Enemies! Command the skies as you hurl lightning and roar thunder! The StormKing Class releases THIS Friday in Falguard! You can purchase it once you have Rank 10 ThunderForge Reputation or for 2,000 Adventure Coins from the Class shop in your game menu! Watch the Design Notes later this week for Cysero's skill breakdown! Summon the Storm as a StormKing! Spring Seasonal Shop: ThunderBolt Striker Set! Spring has sprung, so it's time for the Winter Seasonal Shop to head North for the year! This Friday, talk to Twilly to purchase a Storm Token and unlock the Spring Seasonal Shop! The Storm Token costs 1,000 Adventure Coins to unlock a shop full of 0 Adventure Coin items! Warp Necromancer Viral Backpack Item! We are always trying new things in AQWorlds, and next week (hopefully! ), we want to release the Warp Necromancer Viral Backpack item! The Warp Necromancer shop will be in-game for a few weeks so people can purchase the Warp Necromancer Cape. When the cape is equipped, YOU will get a bonus to battles, and anyone who clicks on the cape will open a shop containing the rest of the set! As long as YOU have the cape, you'll be able to access the shop at any time. But once the Warp Necromancer LTS leaves the game, the only way to get ahold of this gear will be to find someone with the cape equipped, then purchase your own cape, armor, helm, and weapon! It will be really interesting to see how far this item spreads throughout the game! 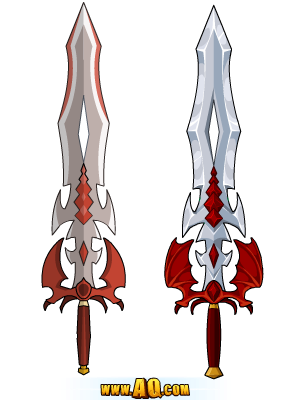 Galanoth's Birthday shop in /lair WILL get an updated version of the classic Dragon Blade AND a Legion version, but it may not be tomorrow. Dage worked himself half-undead to finish the StormKing Class before leaving for vacation today. Wish him a good time! Take Down Chaos Lord Lionfang! 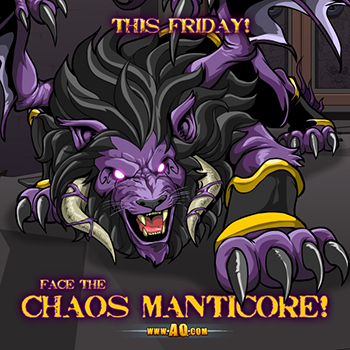 Face down Chaos Lord Lionfang this Friday in the epic conclusion to one of the darkest Chaos Saga's yet! Choose whether to save a life or take a life after battling King Alteon's one-time confidant and ally! As darkness falls, how brightly will the leader of the Golden Onslaught shine? Lionfang waits; the battle is yours to win! The Manticore Assassin Set Leaves in a few Hours! Don't miss your chance to unleash the beast! Show Chaos Lionfang where you stand... and how hard he'll fall when you face him this week! The Manticore Assassin and Evil Zorbak Bank Pet are available until 11:59 PM server time! What is a Bank Pet? For all of you who have joined AQWorlds since we released our last Bank Pet, this is the first time many of you have come across this kind of item! Once you equip the Evil Zorbak Bank Pet (or any other bank pet), just click on it and you'll be able to access your bank from anywhere in the game! Manticore Assassin and Evil Zorbak Bank Pet ! Unleash the Beast inside with our new Limited Time Shop, available until 11:59 PM Monday night! Take on the Chaos Manticore in the Venom Vaults this weekend, then display your victory with the limited-time Manticore Assassin set! Also available is the Evil Zorbak Bank Pet! Bring your bank with you wherever you go! Are YOU ready to be a Manticore Assassin? This is the first time many of you have seen us introduce a Bank Pet, and you might be wondering WHAT it is! All you have to do is click on your Evil Zorbak Bank Pet, and it will open your bank from anywhere in the game! This is a NON-Member pet, and will ONLY work for the owner of the pet! We know AQW Heroes collect a LOT of gear you quest through the game, so having a walking bank right by your side can be a really handy thing! Lionfang has set up his new base of operations in the area of Thunderforge known as the Venom Vaults. This mountain keep was once home to a mad prince who kept manticores as pets which is suicidally dangerous. 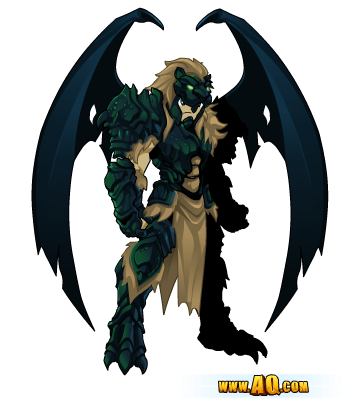 Now the Chaonslaught soldiers prowl the halls while in the locked courtyard, Chaos Lord Lionfang has been training (and empowering) his Chaos Beast to ravage the face of Thunderforge attacking Darkblood and Gravelyn's soldiers from the skies. 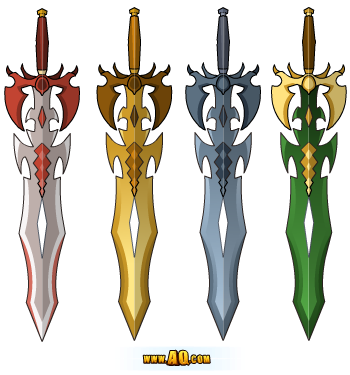 The Darkblood weapon against chaos is now yours to use but will you use it against Lionfang or to save king Alteon? Either way you will find yourself at the gates of the Venom Vaults with Sir Valence of Swordhaven's Pactogonal Knights who has been charged with keeping tabs in Lionfang in his new base. But in a unique challenge, you will be given the opportunity to storm Lionfang's treasure vault where you will find chest after chest filled with NON-MEMBER armors, weapons, helms, cloaks and wings, all of which can be stored for free (they are all 0 ACs). The only catch is that you need the Treasure Vault KEY which Lionfang has placed on his pet... the Chaos manticore. Check the pictures below for some examples of what you'll find inside. To help keep up to date with the latest releases we have added the ability to open the game menu (normally in Battneon only) from anywhere in the game. All you need to do is press the small treasure chest button now found next to your backpack button on the game's interface frame. We have a lot more going on in-game tonight. For details check out Alina's DNs Post from earlier today! The new Royal Commander set comes with a 1 Month AQW Membersip Upgrade! 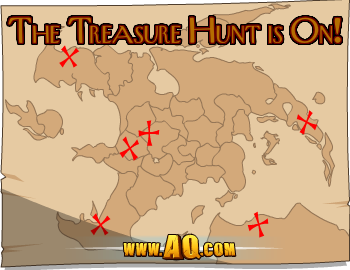 The Treasure Map has been updates with a new clue which will unlock the Dragon Priest, Shadow Commander and Anonymous Drone gear! 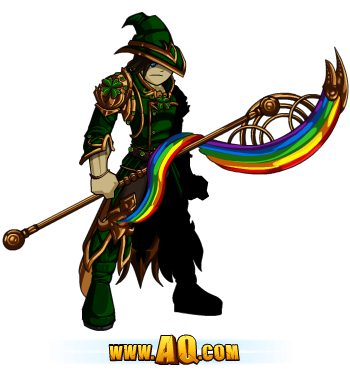 Galanoth's Birthday Challenge continues with access to the new Prismatic Dragonslayer and Evolved Dragonslayer sets! Head to /lair and wish the big guy a Happy Birthday! 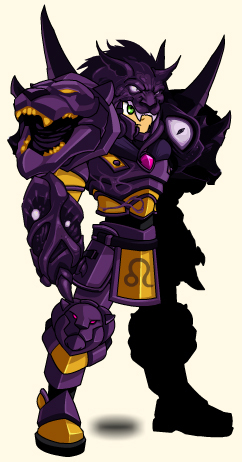 Next week: Chaos Lord Lionfang! So our Artists Work Hard to Make YOU Look GREAT! 1 Month Upgrade Unlocks the Royal Commander Set! Unlock Royal Commander with a 1 Month Upgrade! Become a beast to Slay the Beast! Unleash the Beast inside! Take on the Chaos Manticore in the Venom Vaults tonight, then choose from a TON of rewards, including the Manticore Assassin set or any of the 14 non-member items in the zone! Get ready, because after one of the hardest battles in the Thunderforge Saga, you'll face one of the toughest choices we've ever presented you! 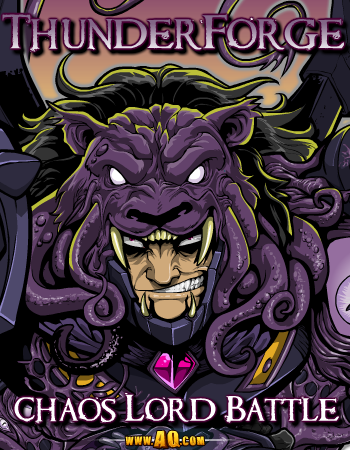 Find the Manticore Assassin in the Venom Vaults! Decipher the Treasure Map's Clue to Find the Gear! Talk to Cleric Joy in Battleon or Valencia in BattleonTown to buy the Treasure Map for a one-time cost of 2000 AventureCoins, then use the clue it gives in the item description to find a shop hidden in-game full of 0 AC gear only YOU can access! Get ALL the details for how the Treasure Maps work here! Check out tonight's Design Notes for FULL release details on the Manticore Chaos Beast Battle! Soundbite from the Lab during release testing: "... I'm not poisoned enough. WHY am I not poisoned enough...?! Oh. I died." Get 100 extra AC for every Month of Membership you Purchase. This deal is always added when you renew an existing membership before it expires, but for a limited time ALL membership purchases, for new members and old members, get the extra 100 coins per month purchased bonus. Galanoth's Birthday Event Continues in /Lair! Gear up to DragOn! It's Galanoth the DragonSlayer's birthday today, so we released a special addition to the Lair map in his honor! 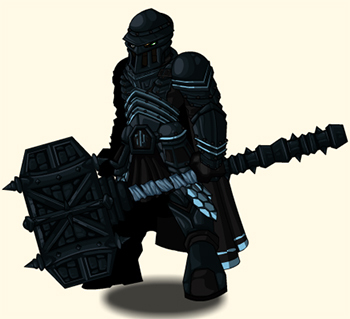 Quest to slay monsters for all of the party resources he needs, then unlock Galanoth's new merge shop! 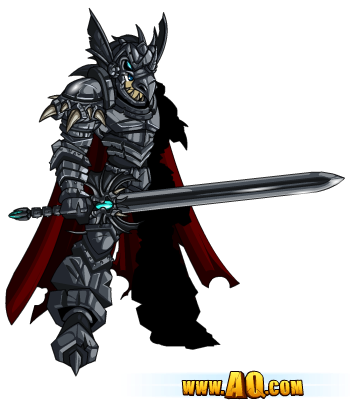 Find Evolved DragonSlayer in the Lair Merge Shop! Galanoth levels up in real life! * Let's get a headcount of all the DragonSlayers currently IN the Legion! Tweet me at @Alina_AE and let me know how many Dragons YOU would slay for the Legion and Galanoth! A Hang-out with our Awesome SUATMR Winner! Last night I got to hang out with the EPIC Apus, the winner of this month's Shut Up and Take My Rares contest! She got her chosen item, then we hung out with all friends talking about plans for AQWorlds, the future of PvP, and MUCH more! Apus wishes you all good luck! Defeat was NOT an option for our group! Apus and all her friends /cheer for YOU! 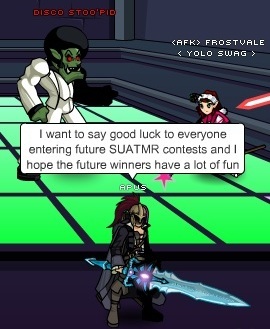 If you want to get a rare item of your own from Cysero's inventory and choose a dev to hang out with, then check out our Shut Up and Take My Rares contest page! 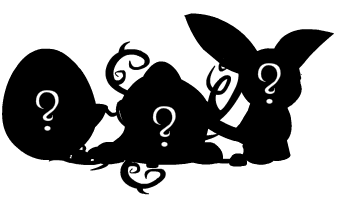 Friday: Decipher the Clue to Find the Shop! TreasureHunters, assemble! We've been including new ways for you to explore the game, hunts and wars to get you back to maps you have never seen, or haven't been to in a long time. Last month, we released a NEW way to do that: the Treasure Map Shop! 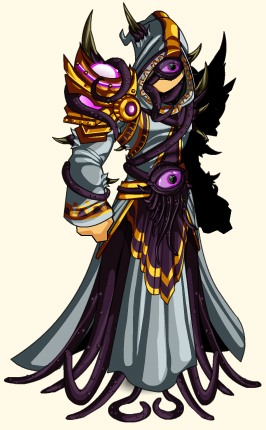 This Friday, the shop receives its first set of NEW gear: the Dragon Priest and Priestess sets! 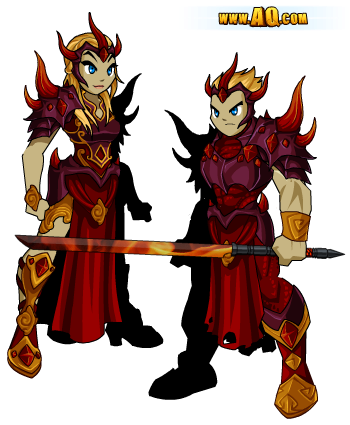 The NEW gear coming to the Treasure Map shop will be the Dragon Priest and Priestess sets! Returning gear will be the Shadow Commander and Nameless Warrior sets! First... yes, the rumors are true. I faced the evil Chairman Platinum in a "Stink Face" match at the MegaCon 2013 convention last weekend. What is a "Stink Face" match? Trust me... you do not want to know. But I get the feeling that is not going to stop you from watching the video that will be posted here later this week. I regrettably promise to post you a link here on AQ.com as soon as it is live. But until then... it is STORY TIME! This weekend, we had a cross over event in AdventureQuest Worlds with the stars of the TV show Hulk Hogan's Micro Championship Wrestling. While their wrestlers appeared in our game event, I participated in their LIVE Wrestling Show at the convention. Originally, I was just supposed to show up and say a few words. But during as I was throwing action figures into the crowd and addressing the audience, EbilCorps Chairman Platinum snuck into the ring behind me and broke a briefcase over my head. The result? We decided to end this once and for all. A special match was agreed upon... but instead of facing me himself, Chairman Platinum chose the dark and spooky MCW Wrestler "Blixx" as his champion!!! Realizing I was in an awkward situation, the MCW Wrestler "Meatball" offered to be my Champion. But there was a catch... this was to be a Stinkface match. Whomever's champion lost was to get a "Stinkface" from Meatball. I dare not utter what this means, but there is a reason why we did not put Meatball's signature special move in the video game. The match took place at 4pm. Needless to say, Chairman Platinum started cheating and we both finally ended up in the ring. If you want to see the outcome... you need to wait for the video. Until then, You should check out the event in game! No good match ends without a trip to the Hospital. But this trip was not for any of us. 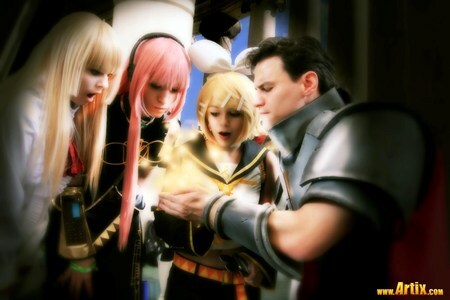 When we heard via Twitter that an AQWorlds player was sick in the Orlando Hospital. So... the ENTIRE MCW Wrestling Crew and I went over to cheer him up :-) The nurses were surprisingly cool about an armored Knight and 13 midget wrestlers storming through their Hospital. The young patient was certainly happy to see us and we all had a blast. I am even more excited to let you know that as of today he has been released from the hospital and is recovering. 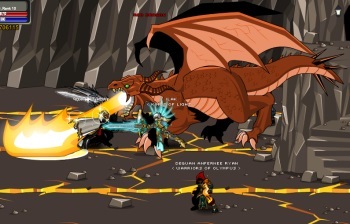 Meanwhile, warriors wearing the Artix Entertainment Dragon are waging war on a very different type of Battlefield. 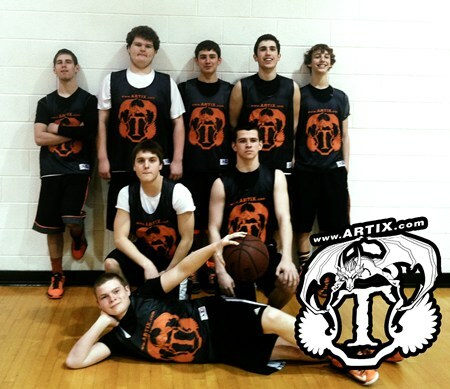 (Backstory incoming...) A few weeks ago I got word that a highschool basketball team needed help getting funds to enter a tournament. We were honored to help. We created some shirts for them (Yergen designed it) and they sent us a picture back! Thank you guys and do your best! As you have surely noticed, we have been making a lot of ambitious improvements across AdventureQuest Worlds the past few weeks. The feedback from the new town, loading screen, and interface changes have been overwhelmingly positive. While we continue the main storyline, we are also going to fix the Book of Lore and also do a HUGE improvement to the world map. May the fates favor your battles during the Chaos Beast Fight this Friday! Evolved DragonSlayer remains in-game forever! Don't forget to /cheer your favorite DragonSlayer on all day! ThunderForge battle against the Chaos Manticore! Unleash the Beast! This Friday, your quest begins. Take on the Manticore in the latest installment of the Thunder-forge Saga! Chaos Lord Lionfang has done many things in his search to cure Chaorruption*, and every step he's taken led to this battle: his Manticore's venom versus your blade! After one of the hardest battles in the Thunderforge Saga, you'll need to make one of the toughest decisions of your Hero's life. If you haven't played all of the releases in Lionfang's storyline, now's the time to catch up, because this Friday is a battle you won't want to miss! Check the release shop for many massively-awesome manticore-themed items, like the armor set above! 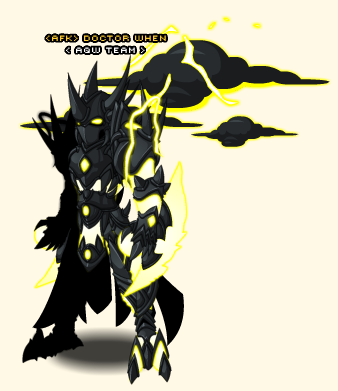 * After stepping down as King Alteon's General, He became the leader of the Golden Onslaught, an army opposed to the Alliance of Good and Evil. He believes there is no way to cooperate with Evil, and refuses to accept King Alteon's command for peace. ** There will ALSO be a short-cut quest for Members to speed up the farming! Friday: Royal Commander Set Arrives! 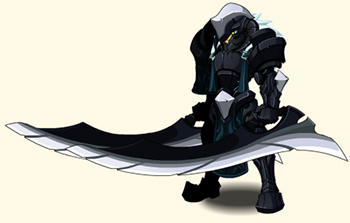 Last week, we introduced the DragonClaw Set, unlocked by purchasing 900 AdventureCoins or more. When we released that, the StormBringer Set left, and many of you wondered when the next offer for Members would come. This week, we've got a golden opportunity for you! The Royal Commander set will be available with the 1 Month Membership package beginning this Friday! When it arrives, the Silver Duelist will leave forever! 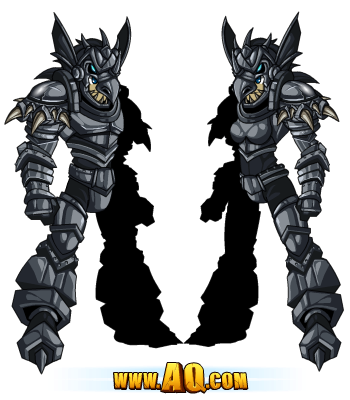 PS: The DragonClaw character page badge will come later today! Stars of Hulk Hogan's MCW Come to AQW! Professional wrestling is finally coming to the world of Lore with the stars of Hulk Hogan's Micro Championship Wrestling! Johnny G, Sampson, Blixx, Huggy Cub, Meatball and Jersey Jess will be playing the Dwarven Champions Guild, one of Lore's toughest mercenary groups! They are facing off against their long time rivals, Munthor and his Micro-Giants. Unfortunately, one of the Dwarven Champions Guild has taken an arrow to the knee and you are called in as a last minute substitute! The MCW is here to stay! 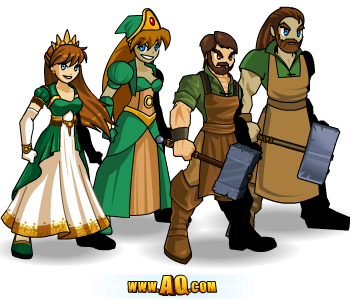 This event will be a permanent addition to AQW but you will find lots of rares in the Dwarves Vs. Giants Awesome Rares Shop! You can also find lots of drops on the fighters in the area as you battle your way to the top of the brackets and Members get 2 special level 50 Bonus Fights with Member Only drops and a Member Only Achievement Badge in your Book of Lore! 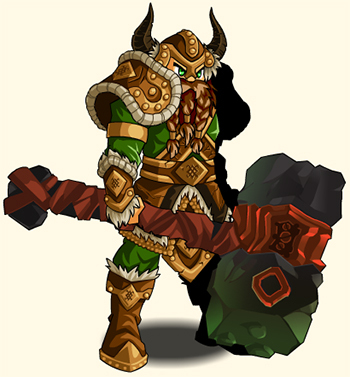 The Member Only Dwarlord Set Items Drop from the 2 Challenge Monsters! All this is going on while Artix and several other members of the AE team will be cheering for the wrestlers of the MCW at MEGACON in Orlando this Saturday. You might also spy Chairman Platinum trying to make a dark deal with some of the wrestlers. We couldn't have a wrestling event without Memet's Color Custom Luchadwarves set! You can learn more about this event and the MCW on our EVENT PAGE! The Museum will be open for business starting tonight! You will be able to collect statues of the Chaos Beasts by completing the quests to new museum defeat them. This is only the start of the new museum quests. Many more will be added as the museum keeps growing along with new Battleon. The best part of the new museum is that you can find buttons that will take you DIRECTLY to the chaos beasts* (unless you haven't gotten to that part of the quest chain. In which case it will take you to the start of the chain). * To go on the 1st Chaos Beast quest in /museum if you've already beaten that Beast, click the statue all the way to the left and it will take you straight there. Login for this weekend's release and you'll see our NEW special item set! 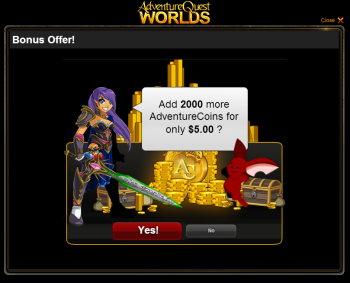 Buy any AdentureCoin package worth 900 ACs or more (either through AQW or using Artix Points, sorry SMS AC packages don't go up to 900) to unlock the DragonClaw badge and item set! and badges in the Character Page (coming next week) and Book of Lore! Dage's Birthday Shop and SoulForge Rares! Dage Art Contest Winners Coming Early Next Week! The server-wide Gold Boost ends Monday, but a week-long Rep Boost begins! It has been a BIG week for us! Giant Dwarves vs Dwarf Giants: Coliseum Clash! The stars of Hulk Hogan's Micro Championship Wrestling will be coming to AQWorlds this Friday in a special crossover event! 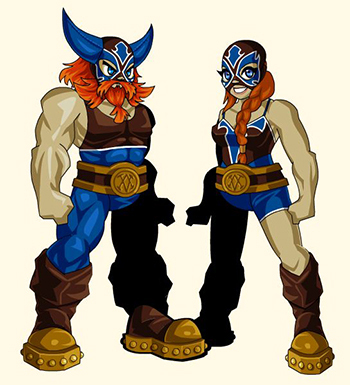 They'll show you the ropes when it comes to wrestling if YOU show them what it takes to be a Hero in AQWorlds! Prismatic Dwarf Armor and Spiked Mauler! And this week's wrestling theme was the perfect time to pull out the title belt Rolith received from MCW during the bachelor party Artix threw for him! * Memet couldn't have asked for shinier inspiration! That thing is shiny AND heavy. Last Chance to get This Exclusive Offer Set! Call down the Lightning with the electrifying (and color-customizable) StormBringer set before this Friday, when it goes rare forever! Purchase any Membership or AdventureCoin bundle, look in your Book of Lore in the Achievement Badges section, and use the Stormbringer Badge to access these epic items. Summon the Fury until tomorrow! 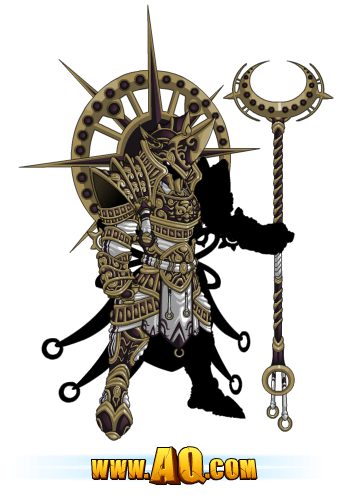 Login for this weekend's release and you'll see our NEW special item set! 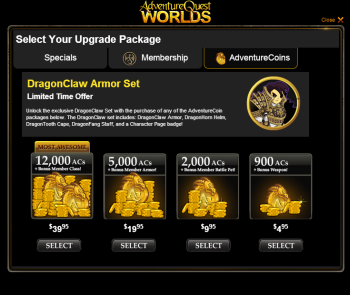 Buy any AdentureCoin package worth $4.95 USD or more to unlock the DragonClaw badge and item set! and badges in the Character Page and Book of Lore! NEW Suggestion Shop Items are Live! Head to Yulgar's Inn and talk to Battleon's Blacksmith to check out the newest Player Suggestion items from Zukai, coolboypai, Olorinus, and DevilMayCry! We love taking your ideas and putting them into the game for other players to use! Take on the Red Dragon in our Spring Break Boss Challenge all week long to see if YOU receive the SUPER-ULTRA-MEGA hard-to-get Red Dragon Destroyer Armor set! Head to the /lair map until Monday night and face down the Red Dragon to collect our challenge boss rewards! Good luck, Dragon hunters and destroyers! The Week of Giant Releases! MAN, we have been busy this week, and we've had a blast! Monday: Red Dragon Destroyer Special Boss Challenge! Tuesday: Preparing for Lucky Day and Friday's release! 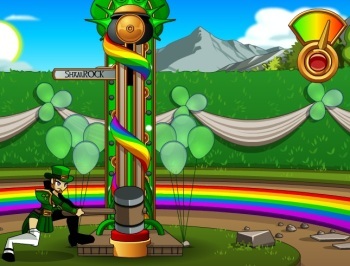 Wednesday: Lucky Day's Shamrock Fair goes live! Lucky 13 contest begins! 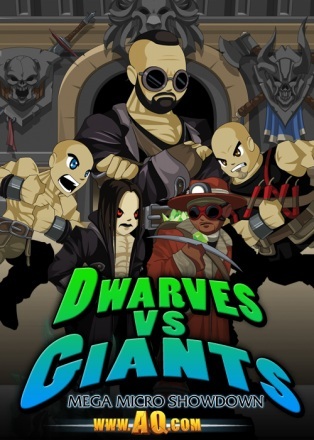 Friday: MCW Invades AQWorlds in the Dwarves vs Giants Coliseum Battle! We are 2.5 months into 2013, and we've had some incredible updates and upgrades! Thank you for working with us to make 2013 the Year of Evolution in AQWorlds! Guard Your Health in Battle with the Sláinte Gear! LUK o' the Sneevish to ya, Hero! 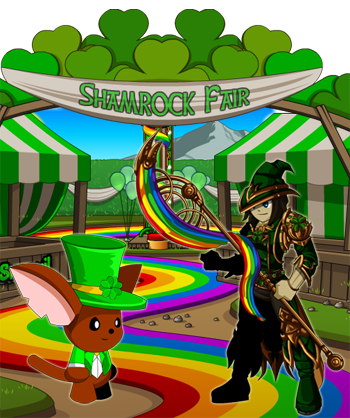 Turn in12 Lucky Clovers, 20 Rainbow Shards, and 2,000 Golden Tickets to the Lucky Day Shamrock Fair Merge Shop, run by Mog O’RahillyThe Shamrock Fair is Happening NOW! Make your friends GREEN with envy as you battle through a Lucky Day filled with LUK, leprechauns, and LOTS of loot! Lucky Day launches early this year! Someone’s LUK just got buffed! The Shamrock Fair starts today on 3-13-2013! Make your friends GREEN with envy! I hope you have a fun-filled Lucky Day full of LUK, leprechauns, and LOTS of loot! Lucky on as you play now! Mega Micro Showdown in the Sound Studio! Duck and cover, because when the micro wrestlers of MCW invade AQWorlds this Friday, you're going to want to get out of the way... or get bodyslammed! The stars of Hulk Hogan's Micro Wrestling Championship took over the Lab today so we could record their lines for this Friday's Mega Micro Showdown in the Battle Coliseum! The Bigger they are... the harder they fall! There was a lot of laughter, a TON of screaming (wrestling yells and battlecries sound REALLY similar), and a lot of barking (Miko's dog did not expect an army of wrestlers this morning)! Dwarven Warrior armors are sized for human heroes! Do ya feel LUK-y, Hero? Gold, games, and green gear galore! Lucky Day MUST be coming soon, and that means the Shamrock Fair is back in town! Join Mog O'Rahilly, Ringo, and all the other Fair-folk TOMORROW in-game for all the LUK, leprechauns, and loot you can handle! Once the Fair opens tomorrow, you'll be able to play any of our 7 minigames and earn loads of lucky seasonal items AND rare rewards! Talk to Mog O'Rahilly in the /luck map and he'll tell you what to do to unlock them all! 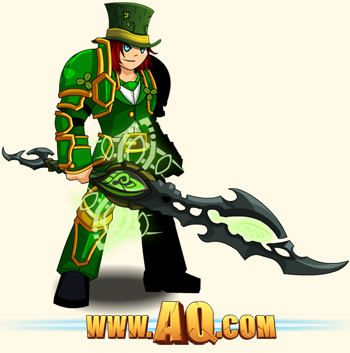 The Guardian o' Sláinte set will go perma-rare! Through Friday, buy ANY Upgrade or AdventureCoin package to unlock the StormBringer set! 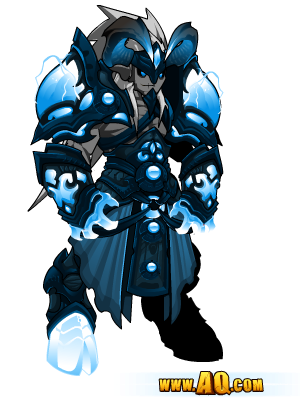 This Friday, the DragonClaw set releases! Unlock by purchasing 900 ACs or more! Next week: the Lionfang Saga returns with... the Chaos Beast Battle! The Lionfang Saga Class releases THIS MONTH! If you prefer to command mythical beasts over elemental powers, then read on! 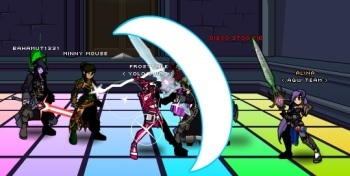 Last week, we aopened applications for the AQW Ambassadors, a new group of mods/players who will help each other in-game! See the Design Notes about this new group for more details, and if you're interested, apply before Wednesday at 6PM server time (EST)! Special Spring Break Boss Challenge! 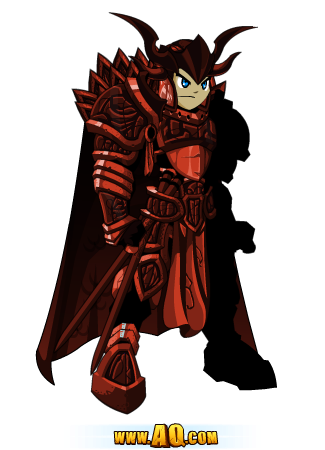 Take on the Red Dragon all week long to see if YOU receive the SUPER-ULTRA-MEGA Rare Red Dragon Destroyer Armor set! Each piece of the gear has an incredibly low drop rate! Good luck, Dragon hunters and destroyers! Head to the /lair map all this week and face down the Red Dragon to collect our challenge boss rewards!